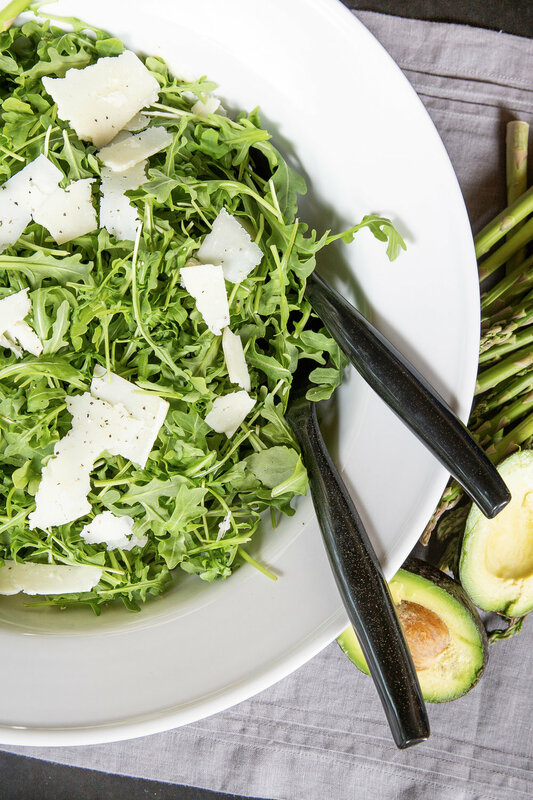 While Arugula Salad is pretty easy to make, at Styling the New West we think our summer version is simply the best. Simple and Easy to go with your brunch goodies or for those eating lighter fare like myself who can't get enough of this salad. Make dressing ahead of time and dress salad right before you eat! We used a large white salad bowl from @williamsandsonoma Large 4 Qt. Pantry Serving Bowl made of high-fired porcelain with exceptional durability and functionality which runs about $70. For another mountain modern look check out @summerillandbishop extra large salad bowl with a plain rim. Handmade in Italy it is a white-glazed but sturdy porcelain statement piece. For color we added a cut open avocado and some extra asparagus tips to dress up the scene.